Lots of great music this week including Okkervil River's I Am Very Far and The Antlers' Burst Apart. 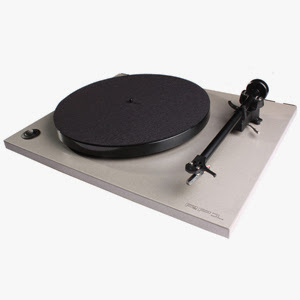 CVR Blog recommendations include Wild Beasts' Smother, Sleepy Vikings' They Will Find You Here, Anvil's Juggernaut of Justice, Architecture in Helsinki's Moment Bends on vinyl, Black Label Society's Song Remains Not the Same, the Cars with Move Like This on vinyl, Prince with three reissues on vinyl (1999, Controversy, Dirty Mind), the Jesus and Mary Chain with two reissues on vinyl (Automatic, Honey's Dead), Pearl Jam with remastered editions of Vitalogy and Vs. on vinyl, the Dream Syndicate's Days of Wine & Roses (reissue) on vinyl, a couple of Johnny Winter reissues on vinyl, and a couple of reissues from the Cramps on vinyl. A couple of CDs also make the CVR Blog list Gene Clark's Tribute to the Byrds (2 CDs) and Russell Hitchcock's Tennessee: The Nashville Sessions (2 CDs). Pavones Records To Release Prevenge, Dig It Up Split 7"
Montreal, Quebec punk outfits Prevenge and Dig It Up will be joining forces and contributing two songs each for a split 7" on Pavones Records. 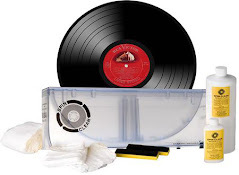 The vinyl will see a May 31st release date while Juicebox Recording Co. will offer the album as a free/donation-based digital download. Pavones Records is now streaming one song from each band at its Bandcamp page. Brazilian female-fronted metallers SHADOWSIDE will release their third album, "Inner Monster Out", on June 7 via SHP Records. 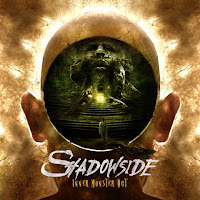 The CD was produced, mixed and mastered at Studio Fredman in Gothenburg, Sweden by Fredrik Nordström, who has previously worked with AT THE GATES, IN FLAMES, DARK TRANQUILLITY, ARCH ENEMY, SOILWORK and BRING ME THE HORIZON, among others. It features guest vocals from Björn "Speed" Strid (SOILWORK), Mikael Stanne (DARK TRANQUILLITY), and Niklas Isfeldt (DREAM EVIL). London 3 piece CYMBALS release their debut album 'Unlearn' on Tough Love Records today. 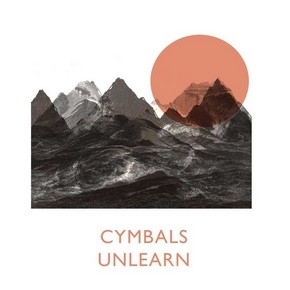 'Unlearn' covers the first 10 songs ever written by the band, pressed up on a limited run of 300 vinyl, each sleeve is individually hand screen printed by artist Sinead Evans. The album is also available digitally. 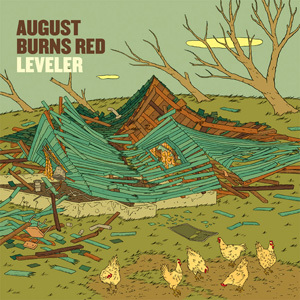 The album was written and recorded by the band and mixed using the collective efforts of Rory Bratwell (formerly of Test Icicles, producer for Male Bonding, Cold Pumas, Veronica Falls, Teeth!!! etc. ), James Yuill and Manchester electronic wunderkids D/R/U/G/S. CYMBALS formed in London amidst the heat haze of summer 2010, directed by nothing but their excellent record collections and the vague intention to "not be boring". 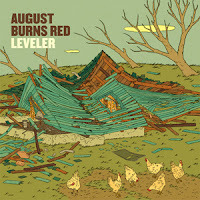 Genre giants August Burns Red are poised to release one of the most anxiously awaited hard rock albums of 2011 – a colossal effort entitled Leveler, available in stores and online June 21st – and are excited to reveal the tracklisting and atypical cover art. 6. Fleet Foxes - Helplessness Blues 12"
9. The Clutters - Under Suspicion 7"
10. OFF! - Compared To What 7"
11. Transit - Promise Nothing 7"
18. Black Mountain - Rollercoaster 7"
6. Chris Brown : F.A.M.E. 7. Katy Perry : E.T. Record Store Day 2011 from Consequence of Sound on Vimeo. In 1959, 16 year-old Wayne Newton made his Las Vegas debut at the Freemont Hotel. That first booking, scheduled to last two weeks, stretched into three years. Newton went on to become the king of the Vegas showrooms, earning close to $20-million a year. In 1962, the Beatles’ manager Brian Epstein met with EMI producer George Martin, who signed the band a month later to record demos. 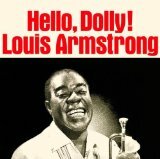 In 1964, Louis Armstrong dethroned the Beatles at the top of the American Singles chart after 14 weeks with Hello Dolly. In 1965, the Beatles, Donovan and members of the Animals and Manfred Mann attended Bob Dylan’s concert at London’s Royal Albert Hall. In 1966, the Doors auditioned to become the house band at the Whiskey A Go Go in West Hollywood. In 1970, The Guess Who started a three-week run at #1 on the U.S. singles chart with “American Woman” – it was the group's sixth top 30 hit and only chart topper. The song was born by accident when guitarist Randy Bachman was playing a heavy riff on stage after breaking a string. The other members joined in on the jam. A fan in the audience who had recorded the gig presented the tape to the group after the show. The band later developed the impromptu jam into a full song. Also in 1970, the Blues Images "Ride Captain Ride" was released. In 1974, John Landau saw Bruce Springsteen opening for Bonnie Raitt in Cambridge, MA. He wrote of the show "I have seen rock & roll's future and his name is Bruce Springsteen." In 1980, at the Ivor Novello Awards in London, I Don't Like Mondays by the Boomtown Rats won Best Pop Song and Outstanding British Lyric while Supertramp's The Logical Song won Best Song Musically and Lyrically. lots of birthdays today including Tommy Roe (68), Richie Furay (Buffalo Springfield) (67), Billy Joel (62), Tom Petersson (Cheep Trick) (61), John Edwards (Status Quo) (58) and Dave Gahan (Depeche Mode) (49), just to name a few.